More than a million migrants arrived in Germany in 2015 alone, with tens of thousands following since then. Many, however, feel disillusioned when they realize that asylum applications take a long time to process and often result in rejection. The German government has, in cooperation with various partners, created several programs to facilitate and finance returns. Many migrants come to Germany from across the world and suffer a sense of disillusionment after a while. The bureaucratic processes and various requirements to enter work, including the expectation of basic language skills, are often in stark contrast to the standards people may be used to from their native countries. Some refugees find that due to political persecution or other similar reasons they may never be able to return home – others, however, realize that they would like to return but don't know how to, and are not sure what limited perspectives might await them upon their homecoming. The German government has set up a number of mechanisms and initiatives to fund and facilitate voluntary return, and to equip and empower those who opt to go back to their native countries with new opportunities. 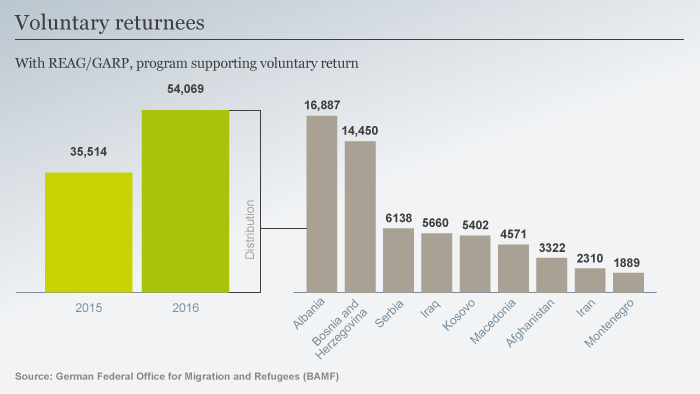 Here is a step-by-step list of so-called voluntary return programs and processes offered by Germany's Federal Office for Migration and Refugees (BAMF). These programs have a long-standing history and were developed by the German government in 1979 and 1989, respectively. REAG was launched by the then-Federal Ministry for Youth, Family, Women, and Health in cooperation with the UN’s International Organization for Migration (IOM), while GARP was an initiative started by the German Ministry of Interior Affairs. The two programs were combined in 2000. REAG/GARP is designed to help with organizing your return journey, including the travel costs. Depending on your country of origin, REAG/GARP can also provide some financial start-up assistance upon your return if you come from a country with a high volume of migration. This is a humanitarian aid program designed to address the dynamics of migration. People with both accepted and rejected asylum statuses qualify for REAG/GARP, as do refugees fleeing war and persecution and foreigners earmarked for deportation on many other grounds. More than half a million people have made use of REAG/GARP in the past. Stage 1: Returnees receive 1,200 euros if they apply for voluntary return before their asylum application process is fully completed. Stage 2: Returnees receive 800 euros if their asylum application has been rejected and they opt for voluntary return within the time frame specified for their departure. 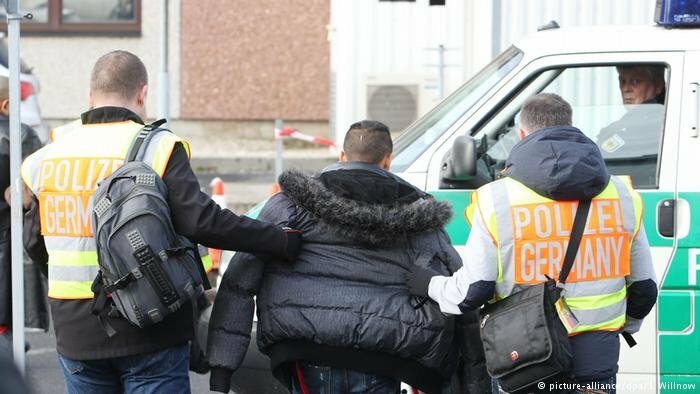 Stage S: Returnees receive 800 euros if they have legal protection status according to German law and if they decide to return to their country of origin with the help of StarthilfePlus. As opposed to the other stages, stage S applies to all nationalities within the framework of REAG - and not just to the 45 countries that are specified under StarthilfePlus. Stage Ü (until 31.12.2017): Returnees receive 800 euros if they have been registered in Germany before 1 February 2017, and if by 1 August 2017 their asylum application has been rejected and they have been told to leave the country, or they have a temporary permission to stay but not work in Germany (a so-called “Duldung”), or they have submitted a subsequent asylum application. Regardless of what stage you may qualify for, StarthilfePlus pays particular attention to keeping families together: a family that chooses to return voluntarily can receive an additional 500 EUR if more than four family members together qualify for the StarthilfePlus program. StarthilfePlus is paid out in two stages, with the first half of the funds being made available to you at the beginning and the second half six to eight months after your return. Children under 12 receive half of the amount. The program is constantly revised and updated to accommodate changes in migration trends. 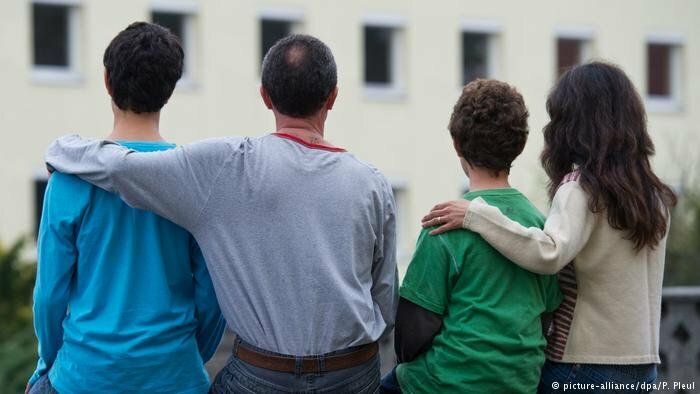 For example, the German government is currently offering reintegration assistance in kind of up to an additional 3,000 euros for families (1,000 euros for individuals) for housing needs if you apply between 1 December 2017 and 28 February 2018. You can apply for these funds to improve your housing in your country of origin, whether this means fixing a roof or building a kitchen. This additional program is entitled "Dein Land. Deine Zukunft. Jetzt!” (Your Country. Your Future. Now!) and is intended to by available only for this limited time. The program is coordinated by the IOM office in your country of origin and funded by the German government. After your application is approved and your return completed, the funds will be handled by your local IOM office. IOM representatives will pay the funds directly to your builders, contractors, carpenters or furniture-makers and not to you. The German government and its international partners want you to make an informed decision about your potential return to your home country. To facilitate your discernment process, the Federal Office for Migration and Refugees (BAMF) has set up the ZIRF-Counselling project in cooperation with the IOM, which provides you with information you need in order to support you in making that decision and prepare a potential voluntary return. Authorized counselling centers are equipped with up-to-date information researched by the IOM in numerous countries with high volumes of migration in regard to changes in developments on the labor market, housing, education, social welfare, medical care and other key factors that motivate people to leave their home countries in the first place. ZIRF-Counselling provides two primary information services: it can assist you with your individual inquiries if you have questions regarding your country of origin and your options available for voluntary return. It will get it touch with IOM case workers at the IOM mission in your country to gather information specific to your needs and your enquiry. Your identity remains anonymous throughout this process. Secondly, ZIRH can also provide you more general information with its constantly updated Country Fact Sheets, which it presently compiles for 19 countries. You can learn about changes to social and political trends in these countries that may affect your decision. Choosing to go back to your country of origin is not an easy decision to take, nor one that should be taken lightly. Being informed by reliable sources and receiving assistance to build a new life can help in easing that transition. 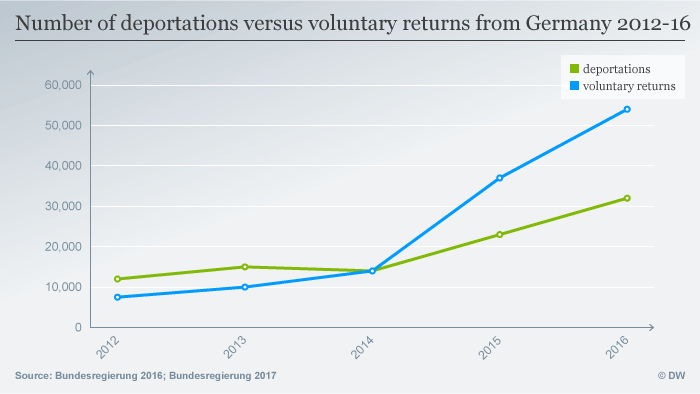 Voluntary returns have also overtaken deportations even before the height of the refugee crisis in 2014, providing viable alternatives for migrants seeking new perspectives. In addition to voluntary return programs, there are also a number of reintegration programs that may help to assist with your new beginning, offering help with such things as setting up a new business or reintegrating internally displaced people in certain regions. You can receive more information about these programs from your local BAMF office or online at www.returningfromgermany.de/en/programmes#reintegration.